Hi everybody, I wanted to share a few more pictures because when I did the last blog I was having a hard time getting Ashley's computer to read from the camera card. I think this will work! The first picture is of Dottie and myself. 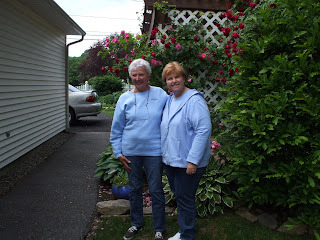 I worked with Dottie in the office at the Officer's Club. 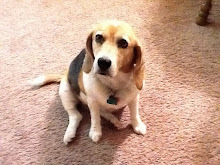 She did a really good job of trying to keep me from being so homesick while we were at Ft. Devens. She helped me get through my pregnancy with Christopher and then with Nathan. Her and her husband Art babysat Chris when I went to the hospital to have Nathan. Her kids loved having Chris at their house to play with while he was there. Art passed away in 2002 after suffering with a spinal cord stroke 11 years prior. 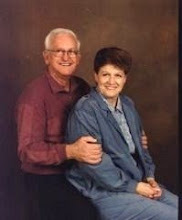 Dottie took care of him all those years, which was getting to be pretty hard on her. She has done well however and now has a new guy in her life. 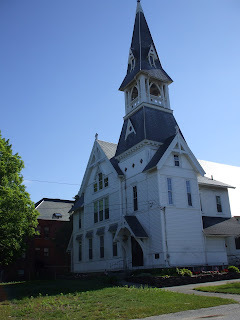 The next picture of is of the church that our Branch met in, in the same town Dottie lived in,....Leominister. It belonged to another religion but they allowed the LDS to meet there. This is the church that Christopher and Nathan were bless ed in. It's kind of a cool looking building, isn't it? There is a lot more to the building than what you can see here. 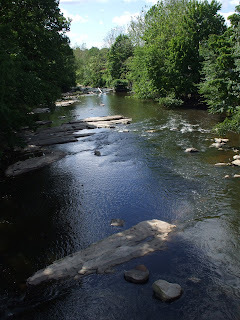 Next picture is of the Nashua River which runs through the same town just down the road a short distance from the church. The next two pictures are of the hospitals the boys were born in. Christopher was born at the Cutler Army Hospital on post. 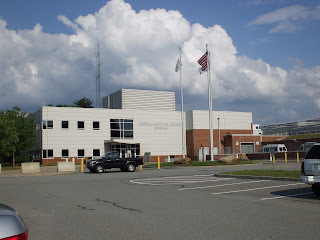 They have rebuilt the front of it and it is now the Federal Medical Facility which is used for the prisoners in the prison that sits up at the side of the medical building. 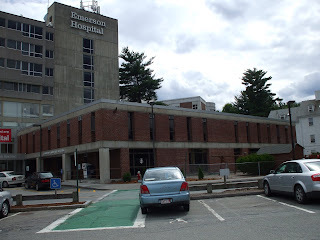 Nathan was born in Concord, MA at the Emerson Hospital. As you all know, Concord is a well known town that sits next to Lexington which is where the "first shot heard round the world" was shot to start the Revolutionary war. The whole New England area is full of H I S T O R Y, which is one of Dave's loves. 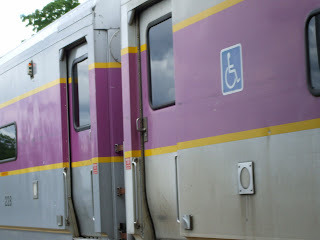 The next picture will be of the commuter rail we rode a couple of times from Boston to Fitchburg the night we got there, then from Leominister to Boston the next day when we went to sight see. Notice the colors. Nothing like our Red, White and Blue "Front Runner" which is our new commuter rail that runs from Salt Lake City to Ogden. 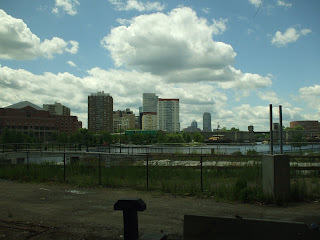 The last picture I'm going to share for this trip is coming in to Boston on the train. We took lots of pictures, but since we were only there for two days, we didn't get to every where we wanted to. Oh well, hopefully we'll get to go back some day. I would like the boys to see the New England area since they were born there. That's it folks. I already showed you a few pictures with the previous blog. Hope you enjoyed these. Not real exciting pictures but like I said,....maybe someday we'll get back there and be able to stay a little longer and get even better pictures. Bye for now! That old church is a wonderful piece of nostalgic architecture! It's so beautiful there, I can see why you wanted to get back there.